This is a simple, wooden, dusty staircase. The walls are decorated in Adam green with wooden panelling. 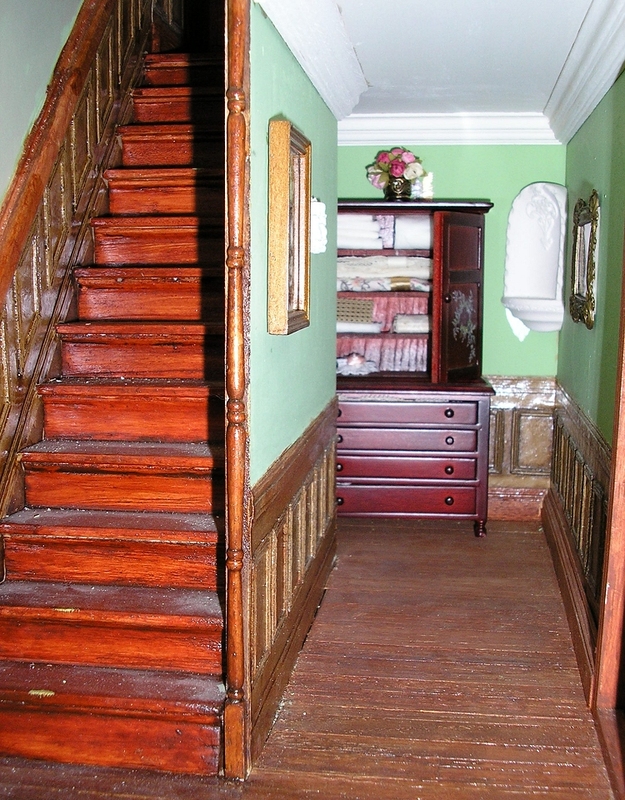 The hallway of this staircase houses the linen cupboard, which is well stocked with extra bed linen, table cloths, blankets and all manner of household linen. Most of them are decorated with lace and embroidery.